It’s that time of year when La Mom goes incognito. Trench coat collar pulled up? Check. Non, La Mom isn’t a paparazzi target – yet. The real reason I keep a low profile is because of La SuperMom. You know La SuperMom: think La Mom on steroids. At home she'd be running the PTA, the Junior League, and catering every birthday party in town. In Paris, it's her personal mission to educate the French about every single American holiday -- no matter how big or small. 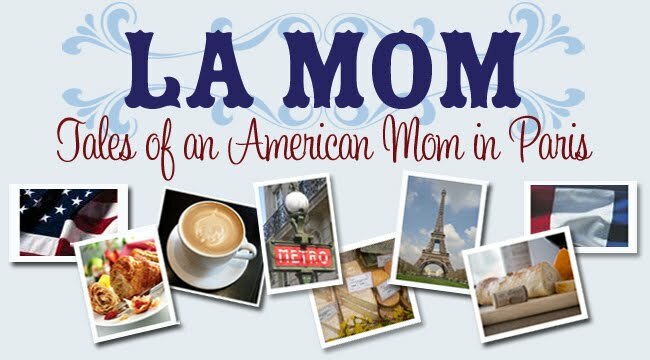 La SuperMom: Hi, La Mom! Hey, what are you doing next Wednesday? La Mom: Uh, that’s my one day off with the kids. La SuperMom: Oh yeah – well, I was wondering if you could come do a little talk about Thanksgiving for Jake’s class. La Mom to self: Why would I do that? He and Big Fry don’t even go to the same school! La Mom: You're the Thanksgiving expert...why don’t you do the talk? La SuperMom: I’ll be busy manning the turkey buffet and serving my homemade pumpkin pie! La Mom: Let me get back to you on that. Once upon a time there were some religious fanatics called the pilgrims who got kicked out of their country and had to find a new home. They couldn’t hack it in their new environment so turned to the generosity of the native people to survive. They gave the pilgrims corn, the pilgrims gave them syphilis. Thanks to the pilgrims’ puritan work ethic the US doesn’t have as many holidays as in France. Natural habitat: Her kids’ classroom. Hangouts: Loisirs et Créations craft store – it’s the only place in town you can find pipe cleaners and googly eyes in the same store! Uniform: Mom jeans, sweats, and running shoes. Hey, making a robot out of recycled Perrier cans is messy work, people. How to spot her: The dark circles under her eyes from pulling an all-nighter making personalized shamrock cupcakes for her 3-year-old’s St. Paddy’s Day party. Raison d’Etre: Create the perfect miniature gingerbread house. And win first prize at the American Church Christmas Fair, bien sûr. Profession: Queen of the Glue Gun. Vacations: Raiding Target for glitter pens when back home for Thanksgiving. My La Super Mom moved back to the US a few years back. I got a chuckle reading this though - it brings back fond memories. Mine never had circles under the eyes though - she was always as well-coiffed & made-up as her idol, Martha Stewart. I think yours might be slipping! 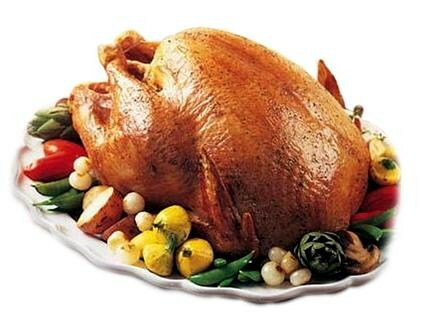 Have a happy turkey day.....I will be busy on Wednesday baking what else? cupcakes for my son's English class ( I think I may have a bit of a latent La Super Mom gene somewhere)! fantabulous post. i am not super la mom, but i'm pretty close. i DO NOT wear mom jeans, though. that's just horrible. no excuse for that. enjoy your "holiday" and take care. I love the cute Daisy Roots shoes! I know that you can buy them from www.lovethoseshoes.com/kids/ and they've got a 10% offer this week if you enter LOVESHOES at the checkout! I think I am surrounded by the US version of LaSuper Mom. Your Thanksgiving interpretation is priceless. I mean so wittily irreverent! Love your blog, nothing like reading some everyday blog comments before going somewere..
Just ordered a turkey at my local butcher for thanksgiving (can only find frozen in German grocery stores). These german turkeys must be free-range, grain-fed, bio, organic, loved it's life birds because they are always so very expensive! This was hysterical. I appreciate your candor so much!! !As a survivor of " the day after Thanksgiving shopping..." ( I hate to call it the other term) This was refreshing... Merci!!! This is a swell post.